I'm currently hanging out with ze Bulette in his stomping grounds. Some travel Bingo in a tourist spot caught his attention. We got to talking about several ways you might use it in-game and I ran with it to make this post. Leveraging stuff people already understand is one of the things I'm really interested in, so, I wish I'd thought of bingo cards before. Anyway, how would you use them in game? Now I'm thinking maybe it would work more closely to the original car bingo concept. So you have a card with various dungeony things and you cross them off as you encounter them (Hey, Googling shows Risus Monkey's player used the term in a similar way, hah). When you get a bingo what happens? I'm not sure. This sounds remarkably like Achievement Based Level Progression. Hah, maybe this is the way DM and players could recordkeep as well as a way players could have an idea of things they might do without a strict hierarchy of them, because Bob might need X for a bingo, but Jill needs Y. Of course that brings out a flaw, the whole point of bingo is one person gets it before the others and that it's random. So if you did advancement this way one random player would go up before everyone else. Seems suboptimal. 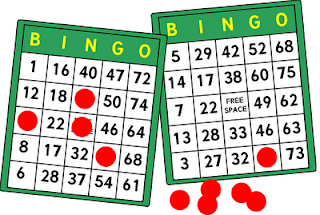 Another problem that comes to mind is that drawing out the filling of the bingo card over several sessions seems like it would ruin any exciting tension that might build. and you set the party loose in the city, they try to get a bingo by talking to various npcs. (Hmm, that sounds more like a scavenger hunt, which might work better; everyone working together rather than competing). It might be interesting to have different players want to take conversation with one npc in different directions: "So, tell us about your childhood" "No, no, tell us how business has been." The big unanswered question for me is what is the bingo prize? Free rumors? A secret about an important NPC or local spot? Maybe a discount on lodging and equipment for the day? Or, I suppose the most straightforward would just be XP. Update: The bingo might be a little too clunky and gimicky to be useful, but I thought of a place where it could be quite fun. 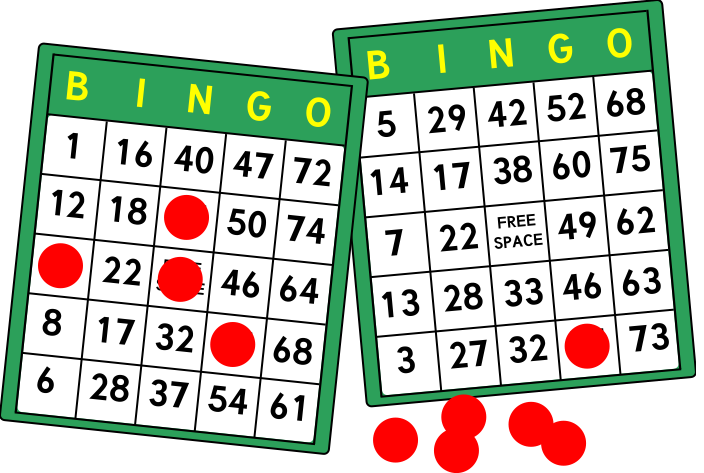 At a convention give bingo cards for each game table. Have all the bad stuff that can happen to a party (TPK, death by poison, death by trap) and for each group that gets a bingo, every player gets a consolation prize. I like the dungeon bingo, but not for leveling. Instead, use it to grant increases in dungeon related skills. Makes players pay attention with a small reward. That supposes that you use skills in your game of course, but it seems like it could be useful, particularly for newer, or easily distracted players (kids). Thanks, I hadn't thought of kids but you're right, they might be the best target for this.